I have no business talking about women’s issues. As a forty-something-year-old man, I’m the least qualified person to address womanhood in 21st century America. Why, then, am I jumping headfirst into the deep end of the gender pool? Because I’m tired of hearing spiritual justifications for the unrealistic expectations that hurt women I care about. It’s not coincidental that most Bible translations introduce Proverbs 31 with a made-up subheading like, “The Wife of Noble Character.” You can’t get more morally intimidating than that. But the subheading isn’t the worst of it. The real problem is the passage itself. And what does this poor woman get as the reward for her labor? She gets to watch her husband kick back at the city gate with the husbands of other perfect wives. Over the years, I’ve heard well-intentioned people interpret this passage literally, as an instruction book for the traditional Christian housewife. More modern interpreters use it to propagate the idea that women can be a Stepford wife to their spouse, a June Cleaver mom to their kids and a Sheryl Sandberg to their employer. Neither of these interpretations is useful. Or accurate. I think it would be a different story if the interpreters could see what I’ve seen: women in tears because they feel like they’re failing to live up to the expectations placed on them by this passage and people who peddle the insane idea that anything less than perfection is nothing. Some of the most talented people I know are women. Lived experience proves that women can excel in whatever roles they choose. Homemaker. Parent. Professional. Pastor. And yes, president. If you think I’m espousing some medieval notion that woman shouldn’t have careers or can’t have it all, you couldn’t be more wrong. I’m saying that doing it all perfectly shouldn’t be the bar for womanhood. But unfortunately, the image of womanhood found in Proverbs 31 is reinforced by the media we consume. From the airbrushed images of women painted on the covers of magazines to TV shows with moms who spend their days in the C-suite and their nights in an immaculate house making gingerbread houses with their adorable kids, the expectations we place on women are beyond cruel. With so many voices telling women they aren’t good enough, shouldn’t their faith community be the one place where they feel accepted for who they are? On Mother’s Day at Caritas Community, we engaged in a frank conversation about Proverbs 31 and the expectations we place on women. Part of the discussion addressed the elephant in the room — the simple concept that Proverbs 31 isn’t about women at all. In fact, you can make a pretty strong case that Proverbs 31 describes something that is relevant for all of us: divine wisdom. Throughout the book of Proverbs, the writer uses the metaphor of a woman to refer to divine wisdom. Don’t believe me? Check out Proverbs 1:20-21, 3:13-18, 4:5-6, 7:4, 8:1-2, 9:1-6 and other passages. If the very idea of this interpretation offends you, too bad. If you’re the kind of person that thinks every word of your King James Bible must be taken literally, please don’t waste your energy sending me an email. You and I are going to disagree about a lot of things and honestly, I don’t have time for pointless arguments. But whether you see it or not, Proverbs 31 isn’t a blueprint for womanhood — it’s a blueprint for life. From marriage to parenting to the workplace, this passage describes the many activities in which women and men would do well to rely on divine wisdom. I’m a husband, a father of two daughters and a pastor. Although I’m on the outside of womanhood looking in, I’ve seen the damage unrealistic gender expectations have on women. If you’re honest with yourself, you’ve seen it, too. The women I know tell me that they don’t need to be patronized by their faith. They just need to know that they’re not living under a microscope. And they need their church or faith community to be a refuge from the unrealistic expectations they face every single day. The gospel is about freedom and women’s value isn’t found in the things they do (or don’t do). It’s not found in their performance in the bedroom or the boardroom or the anyplace else life takes them. It’s found in the realization that we are all perfectly flawed human beings made in the image and likeness of God. My stash of hard-boiled eggs is running low and the jelly beans are starting to taste a little stale. But despite the visible lack of treats and decorations, it’s still Easter at my house. Why? Because Easter isn’t a day. It’s a season. And it should be a way of life. It’s no accident that many of us think about Easter as a single day. But Easter was never meant to be limited to a 24-hour period. 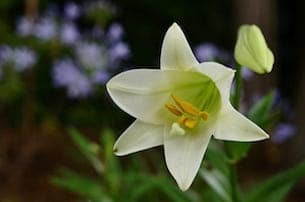 Easter Sunday is actually the starting line for the Easter season — the 50 days from Easter to Pentecost. The Easter season is universally considered to be the most important season in the life of the Church. Not Advent. Not Lent. But the two and a half months between Easter Sunday and Pentecost. It’s ironic (and more than a little sad) that the most important season in the Christian calendar is also the least celebrated. In the coming weeks, we’ll encounter reminders in our worship spaces. Flowers. Banners. Maybe even a small reminder in the bulletin. But the Easter season isn’t something we actively celebrate. 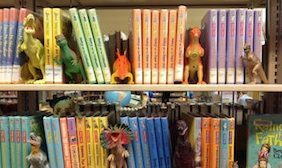 Before the last chocolate bunny disappears from the pantry, we put Easter in our rear view mirrors and move on to other things. Easter disrupts our tired routines and challenges the bankrupt pursuits we hide behind. It reminds us that Jesus isn’t an abstract concept or philosophy. He’s a living presence, an active player in the story of our lives. By living Easter beyond Easter Sunday and even beyond Easter season, we affirm that we have been irreversibly changed by Resurrection. Lent is not Easter. They are as different as night and day. Likewise, life before Easter is completely unlike life after Easter. And I think that’s something worth celebrating. So you and I are called to be Easter people. Not for a day. Not even for a season. We’re called to be an Easter people for life. If you’ve ever seriously entertained prayer as a spiritual discipline, you know that it changes you. It forces you (sometimes kicking and screaming) to broaden your perspective and abandon positions that put your interests ahead of other people and the common good. And that means prayer — authentic, honest-to-God prayer — is always political. But it’s not about your politics. It’s about God’s. To pray is to build your own house. To pray is to discover that Someone else is within your house. To pray is to recognize that it is not your house at all. To keep praying is to have no house to protect because there is only One House. And that One House is everybody’s home …. Be careful of such house-builders, for their loyalties will lie in very different directions. They will be very different kinds of citizens, and the state will not so easily depend on their salute. That is the politics of prayer. And that is probably why truly spiritual people are always a threat to politicians of any sort. Did you catch what he’s saying? To pray is to discover that you are at odds with politicians — not in league with them. When you strip it down to the essentials, prayer is an encounter with God. It’s an invitation to step beyond the world of the things you can see and hear and touch, and step into an up-close-and personal experience of Reality itself. But we don’t come to our encounter with God as a blank slate. When we pray, we bring our experiences, opinions and biases with us. That’s what makes prayer so difficult — we have to consciously set aside our personal baggage and let God change us into better versions of ourselves. Tribalism is quick. It’s easy. And it’s the total opposite of the kingdom of God. Politics exploits the fact that human beings are tribal. We gravitate toward groups and labels because they simplify our lives. They help us define our place in the world. Political affiliations are shortcuts we use to put ourselves and other people into buckets of attitudes and beliefs. If you’re a Republican, you love guns and NASCAR; if you’re a Democrat, you love taxes and Birkenstocks. Prayer isn’t about entering the kingdom of God. It’s about letting the kingdom of God enter you. Prayer breaks down walls and divisions. It forces us to abandon our tribal mentalities and recognize that we’re all part of the same tribe and the same family. We’re all God’s children and the language of prayer is love: God’s love for us, our love for God and our love for each other. That’s the politics of prayer because it’s the politics of the kingdom of God. Maybe I’m naive. Then again, maybe we all are. Prayer and politics are complicated topics. I get it. And I’m fully aware of the scope of the challenges we’re up against. Poverty. Terrorism. Racism. Climate Change. Economic injustice. The list goes on and on. But here’s what I know for sure: If you’re a person of faith and you find yourself more committed to a politician or a political party than you are to the kingdom of God, then it’s time to take a long, hard look in the mirror. It’s time to take off your partisan blinders and start seeing the world through God’s eyes. It’s time to pray. As we approach Holy Week, the lectionary readings become more and more familiar. We know the story in this week’s gospel passage. Jesus rides a donkey into Jerusalem. All the people praise him as a king. And then, in less than a week, the crowds — drunk with a mob mentality — clamor to see him crucified. 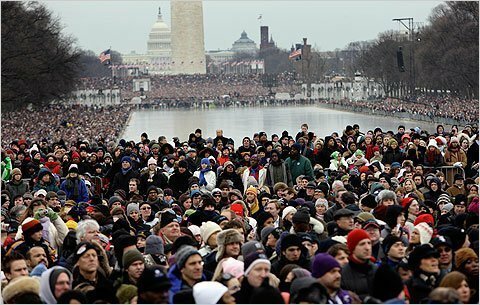 Wherever Jesus went, he drew a crowd with a message of coming change. Without political power or wealth, he offered something better to people from every social strata. But his power was different than Rome’s military might or the Pharisee’s temple system. Jesus operated outside of and against the power systems that oppressed the people. In Luke’s gospel, we see that the people loved Jesus because he gave them hope for a better life. The mob mentality when Jesus entered Jerusalem was one of support and high praise. Jesus had won their hearts — something that threatened the Pharisees’ power and control. So what happened between Jesus’ triumphal entry into Jerusalem and the crucifixion? In a span of a few days the mob that praised Jesus called for his crucifixion. If you read just a few verses beyond this passage you will be reminded that after Jesus entered Jerusalem, he also entered the temple to drive out the vendors and money changers (Luke 19:45-46). This is the Jesus who brings change. And part of that change disrupted the economic and social order of the temple system. The powers — particularly the chief priests, scribes, and leaders — were losing money and control. Without going into all of the political intrigue, dishonesty, and spies that are revealed in Luke 20, we can safely say that the powers of the day used those mobs to turn on Jesus. And they were successful. Using their money and influence they were able to buy off even one of Jesus’ closest followers. One of the twelve — Judas — to turn people’s hearts and minds against the king. As we prepare for Holy Week and reflect on Jesus and the mobs, I am reminded of how mob mentality works. We are so easily influenced by the behavior and rhetoric of the powers of our time. During this political season, it seems especially appropriate to remind ourselves to resist the mob mentality and to continue to follow Jesus. Ash Wednesday may or may not be a part of your spiritual tradition. After all, it’s not a required Christian practice. But Ash Wednesday provides an opportunity to take our spiritual temperature and examine how we’re doing on the journey. Ash Wednesday emphasizes two main themes. First, it’s a time to be be honest about our sinfulness and acknowledge our need for God’s forgiveness. And second, it reminds us of our mortality – ashes to ashes and dust to dust. We have a finite amount of time on earth. But Ash Wednesday points us to the hope that we have in Jesus Christ, because both sin and death have been overcome through his death and resurrection. Lent and Ash Wednesday aren’t intended to make us feel guilty about eating chocolate or meat. This time of year is meant to strengthen our relationship with God. If Ash Wednesday isn’t a normal practice for you, here are a few reasons why you might want to start making it a part of your spiritual discipline. Ash Wednesday marks the beginning of Lent, the season of fasting and prayer leading up to Easter Sunday. The day itself isn’t as important as the Lenten season that follows. Lent is an extended time of self reflection, prayer and sacrifice. It’s a time that is set aside in preparation for Easter. Ashes remind us that humility and repentance are part of a normal Christian life. The Old Testament marks times of repentance with sackcloth and ashes (Esther 4:1, Jonah 3:5-7). While repentance should be a year-round practice for a healthy spiritual life, Ash Wednesday represents a special day for us to turn from our sins. Ash Wednesday reminds us to consider the spiritual discipline of simple living. The act of sacrifice or giving up something for a period of time isn’t essential for our salvation, but it does cause us to reflect about what is really necessary for healthy living. The act of giving up chocolate or alcohol or meat isn’t nearly as important as how those actions cause us to reflect on what it means to live more simply. What do we really need versus what do we really want? How can we focus on enough rather than constantly striving to accumulate more? The symbol of ashes is an outward sign of an inward reality. Ash Wednesday is one of the few days when our Christian faith truly makes us stand out. 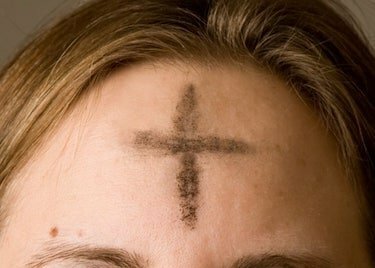 Sure, people might mistake that black cross on your forehead for dirt. But it invites us to consider our place in the global church. We have the chance to publicly identify with Christians throughout the world and throughout the centuries. Whether or not you make it to church to receive ashes, Ash Wednesday still provides an opportunity to consider the seasonality of our faith. There are times of repentance and times of celebration, sorrow and joy, fasting and feasting. Our faith recognizes the full range of our human experience, while pointing us toward an eternal hope in Christ. As we begin this Lenten season, let’s be open to new experiences with God and unafraid of changes that bring hope. Sooner or later, friends, coworkers, even family members will disappoint you. You’re going to feel betrayed. Taken advantage of. You can’t avoid it. It’s inevitable. But when people let you down, you have a choice to make: You can either use it as an excuse to become angry and bitter, or you can turn your disappointment into spiritual strength. Some of life’s disappointments are bigger than others. But over time, even small let-downs and disappointments can make you feel numb. Instead of hoping and dreaming, you stop believing in yourself and other people. Worse yet, you start believing that if the people you trust don’t care about you, then God must not care about you, either. Life is too short to wallow in self-pity. When people let you down (and someone always will), it’s time to fall back on the fundamentals — nuggets of spiritual wisdom to help you move forward in peace, joy and confidence. 1. Happiness starts with you. It’s easy to blame other people for making your life miserable. But at the end of the day, you’re responsible for your own happiness. Real happiness — the kind of happiness that hangs around regardless of your circumstances — comes from knowing who you are rather than letting other people define you. When people let you down, remember that you’re not alone. Even Jesus felt betrayed by his friends and forsaken by God. By embracing your identity and worth as a child of God, you can reclaim your happiness from haters and critics. 2. Expectations are a slippery slope. We all place expectations on other people. We expect our spouses to love us, our coworkers to respect us and our friends to be nice to us. And that’s the problem … because even though expectations are part of life, they set us up for heartache and disappointment. In a letter to a friend, the English poet, Alexander Pope said, “Blessed is he who expects nothing, for he will never be disappointed.” There’s a lot of truth in that. By minimizing the expectations you place on other people, you can prevent disappointment down the road. 3. Pain is real, but temporary. When people let you down, the pain you feel is real. Unfortunately, there is nothing anyone can say or do to make that pain go away. But no matter how much it hurts, you have to remind yourself that the pain is temporary. Psalm 30:5 says, “Weeping may linger for the night, but joy comes with the morning.” Tomorrow is a new day and even though the heartache you’re feeling now won’t instantly disappear, it will get better. 4. You matter more than you know. Insignificance is an unfortunate side effect of disappointment and betrayal. When people you trust turn their backs on you (or worse yet, stab you in the back), it stirs up feelings of abandonment and isolation. Life as you know it is suddenly turned upside down and you start to wonder whether anyone cares about you. But the truth is that your life matters to God and to countless other people who depend on you to be a source of love, support and encouragement. By investing time and energy in those people, you find purpose and meaning in your life — and you realize that you aren’t alone after all. Maybe 30 days of prayer sounds like a long time. But if I’ve learned anything in more than two decades of full-time and lay ministry, it’s that most worthwhile things begin with prayer and meditation. And over the years, I’ve also learned that stimulating and consistent prayer times are like good hair days — they happen, but sometimes they’re few and far between. Why do I need 30 days of prayer? How often do you pray? Probably not as much as you would like to and maybe not even as much as you tell other people you do. For those of us who are trying to live a spiritually grounded lifestyle, prayer provides fuel for the journey. We’re too busy to pray. Prayer is stale and boring. Nothing changes when we pray. Sound familiar? Too often, prayer can feel pointless and mind-numbing, a waste of time in a daily schedule that’s already filled to overflowing. 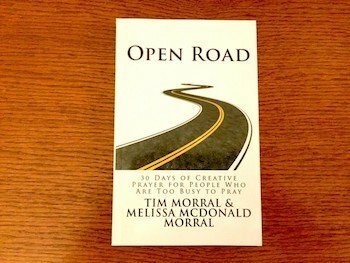 We wrote Open Road to give ordinary, everyday people the practical tools they need to make interesting, thought-provoking and spiritually meaningful prayer a regular part of their busy lives. Filled with practical tips, Open Road also includes 30 days of prayer exercises that use scripture and other resources as starting points for conversations with God. We like to think that Open Road isn’t just another book about prayer – it’s a companion for a journey home to God and the first step toward a more spiritually authentic lifestyle. Available in both print and e-book formats, you can buy Open Road at Amazon.com. We also offer Open Road: Encountering God in Prayer workshops to provide practical, real-world training to people from a variety of denominational and non-denominational backgrounds. Intended for local churches, our workshops are flexible by design and can be structured to accommodate your church or organization’s unique needs. For more information, visit our Workshops page. 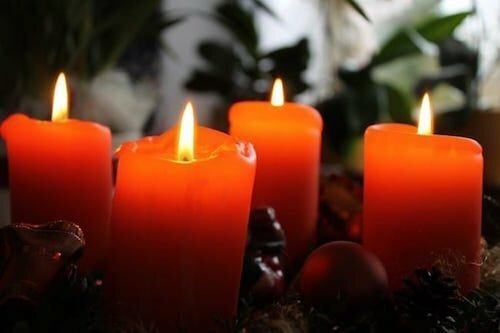 People need Advent hope. Why? Because the world is a grim and beautiful place. I know that sounds ridiculous (and maybe a little melodramatic), but it’s true. One of the great ironies of life is that the world we live in is filled with some of the most wonderful and painful things you can imagine. From refugees in search of a place to call home to individuals stitching together three jobs to make ends meet, they’re searching for a reason to believe that tomorrow will be better than today. As people of faith, we’re called to stand in solidarity with the hurting and the broken, the poor and the oppressed. We not only need Advent hope ourselves — we’re called to be the midwives who help bring Advent hope into the world. Maybe you’ve noticed that we celebrate a sanitized version of Jesus during the Advent and Christmas seasons. Somehow we find a way to reduce the muck and mire of the manger to smiling figurines and a cherubic child wrapped in impossibly white linens. Into this world, this demented inn, in which there is no room for Him at all, Christ has come uninvited. But because He cannot be at home in it, because He is out of place in it, and yet He must be in it, His place is with those others for whom there is no room. His place is with those who do not belong, who are rejected by power because they are regarded as weak, those who are discredited, who are denied the status of persons, tortured, exterminated. With those for whom there is no room, Christ is present in this world. He is mysteriously present in those for whom there seems to be nothing but the world at its worst. During Advent, we wait for the Christ who came into the world for all of us. But if we’re not careful, we lose sight of the fact that Immanuel — God with us — came into the world as an outcast to be present in a special way to those who have been rejected and forgotten. To those for whom there is no room. So, as we progress through Advent, count your blessings and celebrate the joys of the season. But in your thoughts and actions, your words and opinions, bring Advent hope into the world by standing in solidarity with Christ and the people for whom there is no room. Traditional desks jobs are slowly dying as a new generation of workers discovers the benefits of telecommuting. In addition to workplace advantages, there are also several spiritual benefits of telecommuting — benefits that help you find more meaning, balance and purpose in your life. A recent study by IT solutions and services provider, Softchoice, showed that 70 percent of employees in the U.S. would quit their current job to work at a company that allows them to work outside of the office more frequently. As someone who works remotely full-time, I’ve seen the benefits of telecommuting firsthand. Are there challenges? You bet. Barking dogs, telemarketers and a lack of human interaction come with the territory. But at the end of the day, I can’t imagine ever working in a typical office environment forty hours a week. #1: Flexible work days make space for spiritual routines. The Softchoice study found that 63% of Americans prefer a flexible eight-hour workday, while 37% would rather work eight straight hours. The ability to exercise ownership over your work schedule (within limits) creates opportunities to incorporate meditation, prayer, nature breaks and other spiritual practices into your daily routine. Since I started working from home, I no longer have to waste time around the water cooler during work breaks. Instead, I can take a quick walk around the neighborhood, meditate over a short creative prayer exercise and do other things that nourish my soul. #2: Working from home leads to a greater sense of accomplishment. Offices are full of distractions and interruptions. That’s why two out of three workers say they’re more productive when they work from home. A good day’s work gives your life dignity and purpose, while a nonproductive day at the office can leave you feeling frustrated and discouraged. Some days are more productive than others. It’s just the nature of work. But I’ve found that one of the benefits of telecommuting is that the number of highly productive days I experience significantly outnumbers the nonproductive ones. And I get satisfaction from feeling like the time I’m investing in my job actually produces a positive result. #3: Remote work helps you achieve a better work-life balance. Three out of four (75%) U.S. workers say that they’re able to keep more personal and social commitments when they are permitted to work anytime, anywhere. Does your kid have a nasty cough? Not a problem. Instead of taking a sick day or sending a sick kid to school, you can take him to the doctor and make up the time at the end of your work day. Human beings were created to care for each other. When you were just a twinkle in God’s eye, you were hard-wired to drop everything when someone you love is in need. Although there are limits, most telecommuting scenarios allow you to shift priorities to achieve a more satisfying work-life balance. Working from home isn’t all upside. For example, remote work routines and mobile office technologies sometimes lead people to perform work-related tasks on vacation days, sick days and holidays. But in my experience, the spiritual benefits of telecommuting outweigh the challenges. Whether you work from home full-time or just a few hours a week, remote work can provide the space and balance you need to become an authentic human being rather than just another cog in the corporate machine. Halloween’s over. We’ve turned back the clocks and winter is knocking at the door. But yesterday was All Saints’ Day, the day we celebrate the known and unknown saints that came before us. It’s also the day that we remember we’re all saints in the making. All Saints Day is about remembering the people who provided us with examples of holy living. Many of us are familiar with canonized saints like St. Francis, St. Augustine, St. Patrick, St. Anne, etc. But All Saints Day is set aside to honor all saints, both known and unknown. In other words, All Saints Day is also about remembering lesser-known Christians (or saints) who have impacted our lives and taught us about holy living. For example, I remember my grandfather as a saint because he taught me about self-sacrifice and generosity. Raised in poverty, he knew what it was like to be a humiliated child with holes in the bottoms of his shoes. He was never a rich man, but he made sure that all of his grandchildren had new school shoes each fall and Easter shoes in the spring. “Saint Bob” understood the heart of a child and put aside his own needs to be as generous as he could be. Even on his death bed, he didn’t talk about himself, but made conversation with me about my time at college. He even asked if I needed anything. His care and concern for others — particularly children — was an example of holy living. It’s been said that not all saints started out well, but they ended well. So maybe there is hope for us yet — we can all be saints in the making. We’re not perfect. 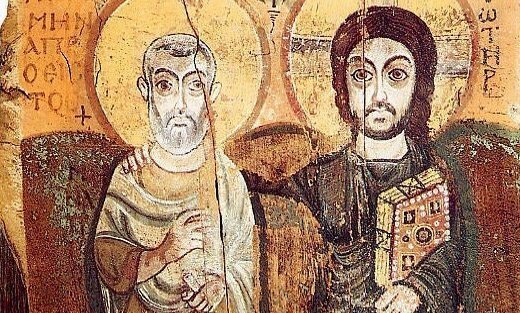 But the saints that came before us weren’t perfect, either. They acknowledged that they were flawed and allowed God’s divine grace to change them and mold them into new creations. Hebrews 11 provides a litany of Old Testament saints from Abraham to Rahab who eventually flourished and succeeded because they “lived by faith.” None of them started well. They were murders, liars, adulterers and prostitutes. They had real problems. But they were also faith-filled people who pursued God despite their mistakes and shortcomings. They didn’t start well, but they ended well and Hebrews 12:1-2 refers to them as examples of holy living. Their lives encourage us to persevere in faith and service. Most of us will never be canonized. And like the saints that came before us we all have flaws. We’ve all made mistakes. But as people of faith, there’s hope that we can still end well and be saintly examples of holy living to future generations. The world loves Pope Francis. But there a significant number of Americans (and Christians) who still view him with skepticism, especially when it comes to his views on climate change, income equality and other social concerns. So what’s really going on? Is Francis an intentionally divisive figure? Or is the problem that we’re looking at him completely wrong? Francis enjoys a wave of popularity in the U.S. 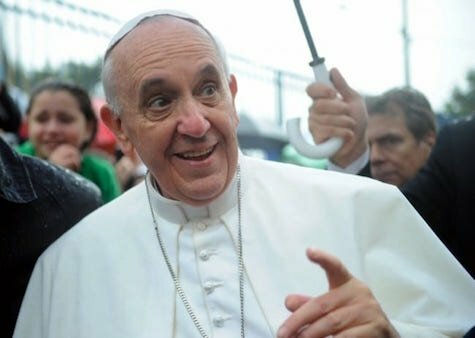 According to the latest Bloomberg poll numbers, Francis’ favorability rating among all Americans is 64 percent — higher than all U.S. political leaders and double the favorability rating of Republican frontrunner, Donald Trump. And his popularity isn’t limited to Catholicism. Although 86 percent of Catholics view Francis favorably, so do 55 percent of evangelicals and 58 percent of people who have no religion at all. Climate Change. In the U.S. (but not necessarily around the world), Francis fares most poorly on climate change. Only a third (33%) think he’s guiding the Church in the right direction on climate change compared to 56 percent who say he’s headed in a bad direction and 11 percent who have no opinion. Welcoming Immigrants. The majority of Americans (70%) believe Francis is taking the Church in the right direction when he urges nations to be more welcoming of immigrants. Economic Inequality. Support for Francis’ rallying cry of greater economic and income equality is mixed. Less than half (48%) think he’s taking the Church in the right direction on issues of economic justice. Although fewer (37%) think he’s taking the Church in the wrong direction, 14 percent simply aren’t sure. It’s important to note that these aren’t the only issues that are important to the Pope. He’s commented on a wide range of moral and religious issues. But it’s his views on social justice issues that are particularly divisive. In Francis’ mind, climate change and immigration and economic inequality aren’t separate issues. They’re interconnected. And to understand where Francis is coming from, it’s critical to understand a few basic facts about the man himself. #1: He’s a friend of God. Like him or not, there’s no denying the fact that Francis is a friend of God. He’s spent nearly his entire life in service to God, and by all accounts his relationship with Christ is the driving force behind everything he does. Unlike other public figures, he isn’t motivated by the accumulation of wealth and I don’t think he cares much about popularity polls. Above all else, he cares about being true to his calling and his views are rooted in his spirituality. #2: He lives the gospel. One of the things that separates Francis from all-too-many public and religious figures is that he’s authentic — he lives the gospel he preaches. Humility. Simplicity. He’s gone out of his way to eschew the trappings of his office in favor of more modest living conditions. Time and time again, we’ve seen him pay personal attention to the sick, the homeless and other people on the margins of our world. In my book, his willingness to live the gospel gives his message more credibility than the words of those who criticize his views from boardrooms and bully pulpits. #3: He is a pastor. Too often, Francis’ role as a pastor gets lost in the conversation. He doesn’t see himself as a bureaucrat, but as a pastor to the Church and the world. So, when Francis speaks about climate change or income inequality or immigration, he’s not talking as a critic or a politician, but as a pastor who is sincerely concerned about the impact these issues have on the people in his flock, i.e., the entire world. Finally, it’s critical to understand that Francis didn’t invent his stands on social justice issues out of thin air. From protecting the environment and combating climate change to encouraging nations to be more welcoming to immigrants and fighting for economic equality, Francis is reaffirming basic, historical Christian theology. I don’t think I’m the kind of person that attracts misery (at least I hope not). But somehow, I keep seeing people who are both: (1) self-proclaimed followers of Jesus and (2) horribly and alarmingly miserable. Where did all of these miserable Christians come from? And whatever happened to Christian joy? In my experience, the miserable Christians I encounter generally fall into two camps. The first camp are people who go through the motions of faith (or pretend to), but don’t seem very excited about it. They’re apathetic about their spirituality and they’re miserable. Maybe it’s because their lifeless version of faith feels like having a Ferrari parked in the garage collecting dust. Or maybe it’s because they think Jesus is just a golden ticket to the ever-after. Whatever the reason, it’s sad seeing them plod through their faith like it’s something to be endured. The second camp of miserable Christians is more disturbing. These folks aren’t apathetic at all. Instead, they’re aggressive, bitter and angry. Somewhere along the way, politics or ideology or God-knows-what-else-has contaminated their faith. From Bible-thumping moralists to radical, faith-based activists, these are the people who see their faith not as a source of hope and inspiration, but as a cudgel that they can use to beat up anyone and everyone who disagrees with them. When I see the misery their faith inflicts on these people (or maybe it’s the misery these people inflict on their faith), it really does make me wonder whatever happened to the idea of Christian joy? You’ve probably heard of Stephen Colbert. After a wildly successful tenure at Comedy Central, Colbert succeeded Letterman as host of The Late Show. He has one of the sharpest comedic minds on the planet and he’s succeeded in doing something that a lot of comedians never quite pull off – he pokes fun at people, but is still regarded as an all-around nice guy. 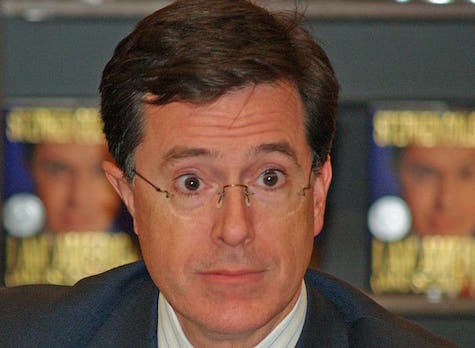 What you might not know about Colbert is that he’s also a deeply committed Christian. A lifelong Catholic, he makes no effort to hide the fact that he’s in the fold. 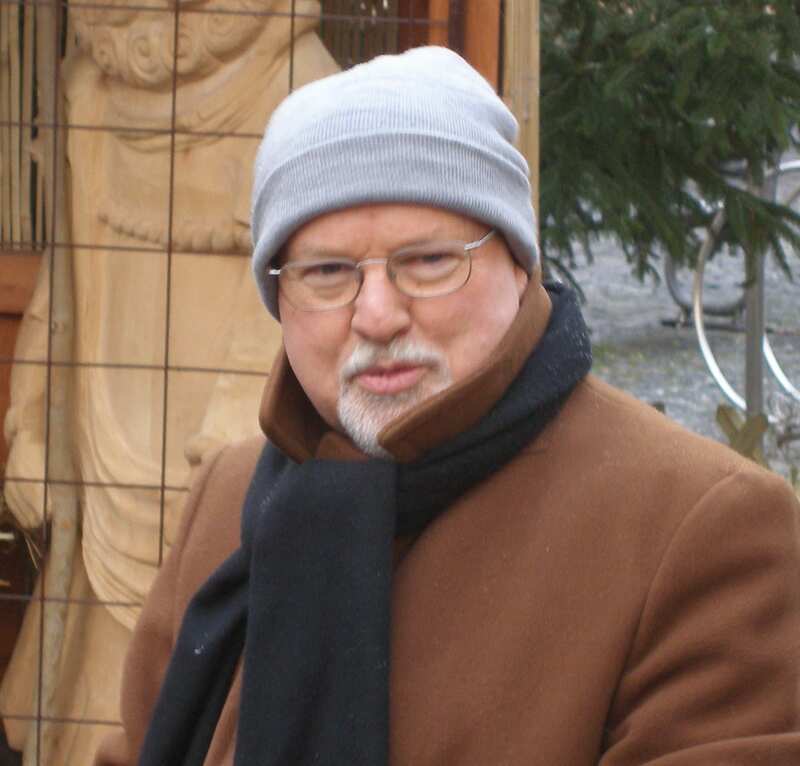 In fact, until a few months ago, he regularly taught a catechism class at his church. The “joy of helping other people”? It’s a novel concept, I know. But helping others is a big part of what it means to experience Christian joy on a daily basis. In the apostle Paul’s world, foolishness for Christ meant rejecting social conventions and priorities to joyfully embrace Jesus’ alternative way of life – the way of love. So, for Colbert, love is the epicenter of the foolishness and joy of the gospel. Translation: Christian joy isn’t the exception, it’s the rule. It’s always been a part of Christianity and if you’re following Jesus without joy, you’re doing it wrong. Let’s get something straight: Christian joy isn’t about living in a constant state of euphoria. If you’re following Jesus because you want to live every minute of every day in religious ecstasy, stop now. That’s not what Christian joy is all about and it’s only a matter of time before you feel disappointed, angry and bitter. Instead (and this is what Colbert gets about a life of faith), Christian joy is about having a sense of hope in the midst of hopelessness and peace in the midst of tragedy — without downplaying the gravity of suffering. More than anything else, joy is about putting love and compassion for your fellow human beings above the need to be right. It’s impossible to truly know Jesus and not have joy. I know that sounds trite, but it’s true. If you don’t feel a sense of joy in your life, then maybe it’s time to put aside the Jesus you think you know and get acquainted with the Jesus described in the gospels — the Jesus of compassion, mercy and hope who came to speak words of life and healing to the world. Fingerpointing is a joy killer. If you’re expending your spiritual energy looking for faults in other Christians and people in the world at large, there’s no room in your soul for joy. Anger and judgmentalism are byproducts of fear (fear of difference, fear of not having enough, etc.). By naming your fear and letting it go, it becomes possible to love like Jesus loves — and that’s the fast track to experiencing joy. There are very few things that you can actually control in life. Yet many of us live like we’re in control of everything. Like cosmic puppet masters, we pull this string and that string, believing that we have the power (and responsibility) to keep our own little worlds on track. 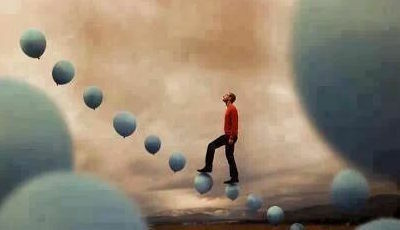 Learning to trust God means giving up the illusion of control. Trust is at the heart of joyful living because no matter what happens, we know that God is with us and we’re not alone. Christian joy is magnetic. If people actively avoid you, it’s not a sign that you’re fighting the good spiritual fight — it’s a sign that your faith journey has wandered off course. When you have Christian joy, people will notice there’s something different about you and they’ll want to be around you. Life is hard — too hard to live without joy. So do yourself (and everyone around you) a favor. Get serious about finding Christian joy and start living the life you were created to live. We all have reasons to quit the Church. But I can’t quit the Church because when it’s being true to itself, the Church does something better than any other institution on earth. It inspires us. There was a baptism at church this Sunday. The baptizee was a baby girl and like most baptizees, she brought an entourage of friends and family members. It’s fair to say that a high percentage of the people in baptismal entourages haven’t been in church for a while. That’s just an observation, not a judgment. Most entourages aren’t sure when to stand up and sit down, and they mumble through the prayers and responses, if they try to participate in them at all. On Sunday, I was seated a few pews away from a man and a woman who were clearly part of the entourage. A thirty-something couple decked out in their Sunday best, they spent the first 20 minutes of the service whispering back and forth, giggling in quiet tones like people who were passing time and wishing they were somewhere else. If these thirty-somethings had ever bought into the idea of religion, they weren’t buying into it now. At some point, they quit the Church and were simply enduring an hour for the sake of their friends or family members. After the homily, the Global Solidarity team spoke about the work our church has done in El Salvador, helping a community that is still struggling to recover from the bloodshed of the ’90s. Our church (which really represents the Church, big “C”) has built hurricane-proof homes, provided livestock and helped this village achieve dozens of other things that seemed impossible. The next project on the agenda is to build a village school so the kids won’t have to walk miles through dangerous territory to receive an education. During the congregational prayer, we prayed for the people in our parish. But most of our prayers were reserved for things outside of the parish. We stood before God on behalf of the poor in El Salvador, in our city and around the globe. We prayed for a world and a Church where the dignity and gifts of women are valued the same as men. With one voice, we asked God to help us make the world a better place. As the hour progressed, my thirty-somethings checked back into the service. Instead of whispering back and forth, they listened and engaged with the message. If I had to describe what happened, I’d say they were enthralled by the magic that happens when the body of Christ becomes the Body of Christ. For the remainder of the Mass — from the homily to the Eucharist to the closing prayer — the Church had their attention. That’s why I can’t quit the Church. I have plenty of reasons to quit the Church. As a former pastor, I’ve seen the Church at its best. But I’ve also seen the Church at its worst, when religious and political ideologies drown out Jesus’ meta-narrative of grace, love and respect. I’m sure you have reasons to quit the Church, too. But last Sunday was a great example of why I can’t quit the Church. Maybe my thirty-somethings expected the priest to lay them on a guilt trip. Or maybe they expected an assembly of navel-gazers desperately trying to protect their traditions and their real estate. They didn’t find either of those things. Instead, they found something that inspired them. There’s a sense of Oneness about God. It’s a Oneness that we all crave as we struggle to make our way in a fractured world. When the Church stands in solidarity with the poor and marginalized (and in ways that deliver no apparent benefit to itself or its members) it gains authenticity and credibility. When the Body of Christ casts its gaze outward and lives in solidarity with the oppressed, the Church reflects God’s Oneness and becomes a beacon of life for people living fragmented lives. That’s inspiring. That’s magical. And it’s something no other institution on earth can do. Not government. Not corporations. Not the media. Maybe I’m wrong. Maybe I’m trying too hard and putting words into my thirty-somethings’ mouths. But on Sunday, I think they looked at a broken Church and saw something different. They saw the reflection of a merciful and compassionate God who, against all odds, is still madly in love with the world. And when we see something like that, why would any of us want to quit the Church? What do former Maryland Governor Martin O’Malley, Taylor Swift, Hulk Hogan, Meek Mill and Twitter have in common? Last week, they all made headlines because they apologized. Just another news cycle in an easily offended society. On any given day in America, someone makes headlines by apologizing. Apologies and forgiveness are fine and spiritually necessary things. But most of these public apologies aren’t sincere — they’re just PR stunts designed to save face for people and organizations that have done incredibly stupid things. In a world that encourages us to outdo and outperform the competition (i.e., everyone else), our ego drives us to defend our status at all costs and makes us hyper-sensitive to slights and offenses — even when we know the offense is relatively minor. Ironically, for a nation that touts its origin in the ideals of freedom and liberty, we’re quickly becoming a nation of captives — captives who are trapped by the need to defend ourselves from feeling angered and annoyed. To be truly free, we’ll need to conquer our egos and embrace the responsibilities our freedom brings. There’s a big difference between being easily offended and being outspoken about legitimate social justice issues. For example, racial slurs, discrimination and symbols of oppression (yes, I’m talking about the Confederate flag) should elicit a quick response from anyone and everyone with enough guts to claim to follow the Jesus described in the gospels. But when we become easily offended by lesser things, it desensitizes us to the legitimate injustices that exist in the world. When everyone is outraged all the time, the noise of it all drowns out the cries for justice from the poor, the marginalized and the truly oppressed. I am content with weaknesses, insults, hardships, persecutions, and calamities for the sake of Christ; for whenever I am weak, then I am strong. By choosing to ignore the mad impulses of our ego and its insatiable appetite for being bigger and better than others, we become immune to insults, put-downs, slights and offenses. We allow God to turn weakness into strength and instead of being easily offended, we become nearly impossible to offend. More importantly, by starving our egos of oxygen, we quiet the noise and it becomes easier to hear the voice of the Holy Spirit, urging us to stand up and speak out on behalf of others — especially those who are least able to speak for themselves. Forgiveness used to be a virtue. Now it’s a sign of weakness. What happens when people remember the forgotten power of forgiveness? At some point in my childhood, my mom pulled me aside and told me that I needed to forgive one of my brothers who had just hit me or broke my toy or done something else that, at the time, seemed completely egregious. Over the years, the seriousness of the things I’ve needed to forgive has gone way beyond broken toys. And I’ve learned that forgiveness is never easy — it wasn’t easy as a kid and it isn’t easy now. Last weekend, 48 people were shot in Chicago. That’s not a typo. Forty-eight people were gunned down and eight died — including Amari Brown, a seven-year-old boy who was hit by a bullet intended for his father, a ranking member of a Chicago gang. Chicago is murder central in the U.S. In Amari’s case (and many others), shootings are gang retaliations. Sometimes not even funerals are safe. We idolize movie characters that exact revenge when they experience a loss or defeat. We use social media to talk trash about people who have wronged us. We cheer when criminals are sentenced to death. We talk about getting even like it’s a virtue, rather than a character flaw. I know … sometimes forgiveness is complicated. But my point is that somewhere along the way our society has forgotten about the power of forgiveness. We need to rediscover the power of forgiveness. Here’s the thing about forgiveness: it’s powerful. When we choose to forgive (because forgiveness is always a choice, not a feeling), we introduce something beautiful and sublime into dark and broken places. In God’s world, forgiving and being forgiven are two sides of the same coin. But as important as forgiveness is for our spiritual well being, the power of forgiveness goes beyond personal spirituality. Forgiveness is at the heart of the gospel — it’s a defining feature of Jesus’s alternative way and his ability to overcome the evils of this world with love. When people choose the power of forgiveness — even when it means forgiving unforgivable things — it creates an atmosphere for social transformation. For example, church members’ willingness to forgive has been credited with preventing violence and beginning the healing process in the wake of the shooting at Emanuel AME in Charleston. A similar phenomenon occurred in 2006 when the Amish community publicly forgave the gunman in the Amish school shooting. The members of Emanuel AME understand that forgiveness isn’t really about the shooter — it’s about them. The power of forgiveness heals us and by extension, our communities. Maybe that’s the most important lesson the power of forgiveness teaches us. When we’re hurt or offended or victimized by evil, we have a fundamental need to regain control of our lives. Retaliation is a form of control. But forgiveness is control perfected because it’s a divine, beautiful response to the worst the world has to offer. I am the vine, you are the branches. Those who abide in me and I in them bear much fruit, because apart from me you can do nothing. Whoever does not abide in me is thrown away like a branch and withers … As the Father has loved me, so I have loved you; abide in my love. I’m a terrible gardener. In my house, there’s a general absence of house plants. It’s not that I don’t try, but I just seem to have a brown thumb. I either overwater the plants or underwater them, give them too much light or too little. I guess it’s a good thing I’m not the Divine Gardener. In this passage from the gospel of John, Jesus gives his disciples at least three lessons from the vineyard — practical advice about how to live as productive, faithful Christians. 1. There are no lone vines in Christian community. In Hebrew scripture, Israel is often referred to as the “vine.” But in John, Jesus is the “true vine,” God is the Gardener and we are the branches that should bear fruit. The relationship and interdependence between God, Jesus and Christian disciples is established. One of the most important lessons from the vineyard is that there can be no free-standing individuals in this community of believers. A branch can’t live or bear fruit without the life-flow that comes from Christ — the vine — in a community of other branches. As disciples of Christ we give up our individualism to become part of a whole and healthy plant. And we don’t get to decide which other branches are connected to the vine. That’s the work of the Divine Gardener. Connection to Christ — in community — is a necessary part of the normal Christian life. We abide in Christ and he abides in us. 2. God’s care of the community requires pruning. The Divine Gardener needs to cut away the things that hinder our growth and the health of the community. God prunes the parts that prevent us from bearing good fruit. Things like anger, selfishness, pride, envy, gossip, greed and complaining. Tempted to look around and compare your fruit with another branch? Don’t be. It’s not up to you to determine which branches are bearing fruit and which aren’t. Again, that’s the work of the Divine Gardener. What does Jesus mean when he talks about “good fruit” in his lessons from the vineyard? However, in the context of John “bearing fruit” is not only about faithfulness to the commandments. It also expresses doing works of love. Love is the mark of Christ’s disciples. My Father is glorified by this, that you bear much fruit and become my disciples. As the Father has loved me, so I have loved you; abide in my love. Above all else, the lessons from the vineyard are about remaining faithful to the life of discipleship. Abide in the vine of Christ, loving one another, and bearing much fruit.